Summer is in full swing & we have lots happening on Sunday mornings at our church. We have some of our regular volunteers as well as some parents and occasional volunteers helping in Kids Ministry during the summer. I know that a lot of people could be out doing things on the weekends, especially when the weather is nice, so I really want people to know how much I appreciate them & the time they are taking to serve the kids and their families this summer. This is a great time to send them a Thank you card.The first thing on my “to do” list for Monday mornings this summer is to say THANK YOU! I will email all the people who volunteered on the previous day, and thank them for taking the time to serve in Kids Ministry. Throughout the year, I send a Thank You card to random people. Sometimes it’s for going the extra mile, and sometimes it’s just to say thank you for faithfully serving. That’s another Monday morning thing. I write a hand written card and say something specific that I noticed. Then I pop it in the snail mail box for them to receive some time that week. 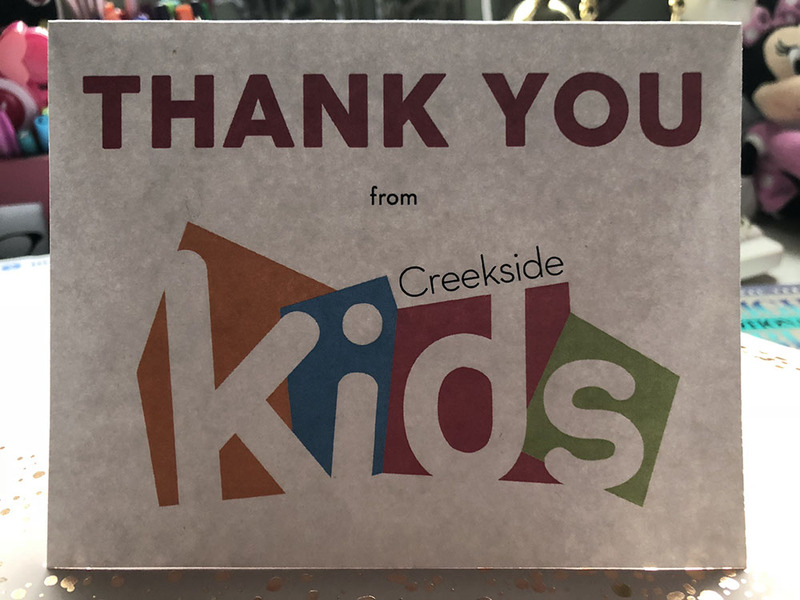 When a volunteer has had something unexpected happen, and they went over and above and took one for the team, we send them a gift card in their thank you card. If a child throws up on a volunteer, we always send them a Starbucks card or a Dairy Queen card. Take the time to say Thank You. It will make a huge difference.